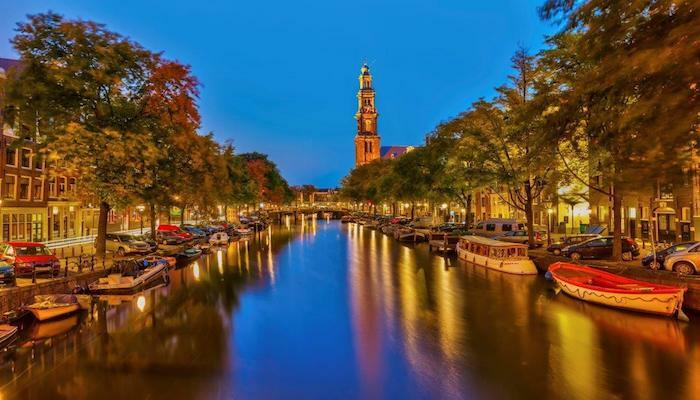 Amsterdam, Netherlands is the business and cultural center of the Netherlands. With its historical canals, beautiful older buildings, and wonderful museums, Amsterdam attracts 5 million visitors annually. This pedestrian and cycling friendly city is also a haven for runners. Water is the running theme in Amsterdam. 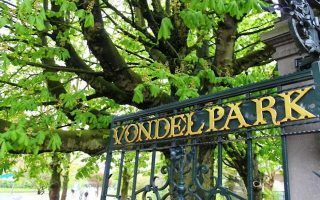 Highlights include the walkways along the canals, lovely runs along the Amstel River, and some of the city’s beautiful parks, notably Vondelpark, Rembrandtpark, and Westerpark. The ‘north’ part of the city has been developing quickly and features terrific waterside runs. Further afield, Sloterpark and Amderstam Bos (near the airport) are good running destinations and easy to get to. The Olympic Stadium, built for the 1928 games, is a good add-on or departure point for routes in this area. Runners should note that Amsterdam is one of the flattest cities in the world. 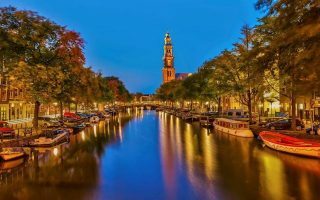 Amsterdam is compact — the canals and Amstel river form sort of a half circle around the older part of the city, and it is only a few km from Central Station to the city’s outer beltway, the A10. The wonderfully preserved older part of the city is inside the S100 beltway road. Nearly all our ‘iconic’ runs are easy to reach from a centrally located hotel or the convention center. Public transportation is excellent, with an extensive tram, metro, and ferry system. A new metro line connecting to North Amsterdam is due to open soon. Note: Bikes are the main way of getting around Amsterdam. There are off-road paths covering nearly the entire city, many of them for bikes only and shaded red. Please be aware! One bonus of this amazing bike infrastructure is that everything is lit, so running when it’s dark is a treat in Amsterdam. Running along Amsterdam’s historic canals is one of the most unique runs in the world. 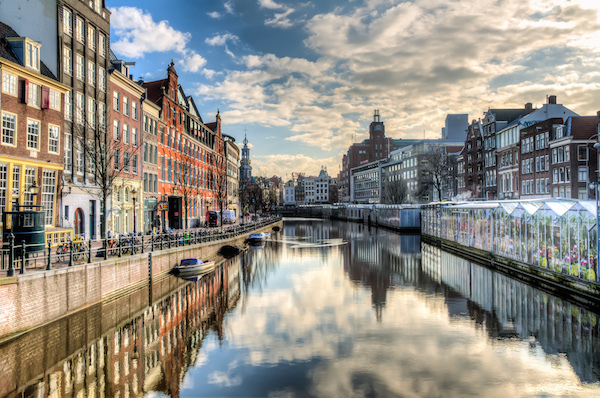 A series of four canals forms a half-circle “ring” around old Amsterdam, lined by gracious older homes and famous sites. 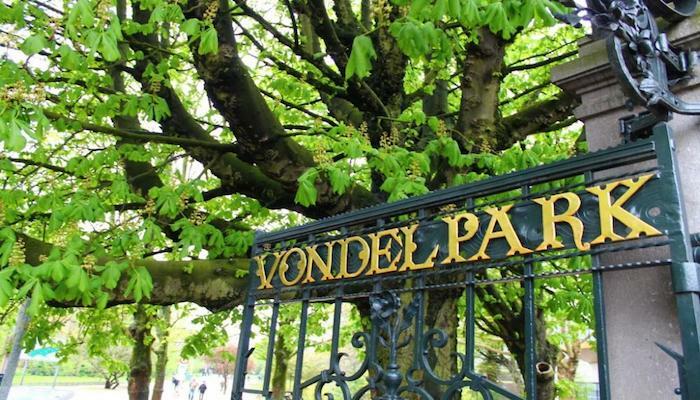 Vondelpark is the largest park in Amsterdam, very popular and centrally located . 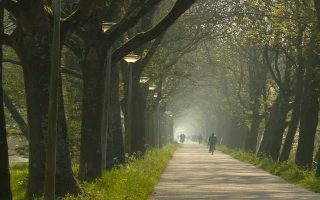 Combine its lovely paths and gardens with nearby Rembrandtpark for a 5.5 mile loop. This is a pleasant urban park in the western part of Amsterdam. Easily reachable by bus or tram. Lots of trails, some paved. A water beltway around central Amsterdam, forming a half-circle. A fun run is to follow the river around the city, mainly along the S100. There are not water views the whole way, but provides access to some of the city’s main sights. Running along the Amstel River is one of the running treats of Amsterdam. 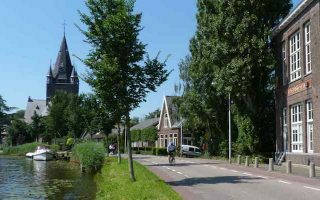 A great option is to go to Ouderkerk aan de Amstel, ~7 miles one way from Amsterdam. Amsterdam’s largest park. There are lovely nature trails through the park, and separate pedestrian and biking trails in spots and a 4- mile loop around the perimeter of the lake. A large and lovely park southwest of the city and near the airport. There’s a large number of nature paths. Nice paths around De Poel lake, Bosbaan rowing lake, and designated 'cross country' paths of 5k, 10k, and half-marathon length. In the southwestern part of the city and near the convention center. Lovely running along the 2 km Kalfjeslaan “lane” lined with trees, Amstelpark, and the Gijsbrecht van Aemstelpark. 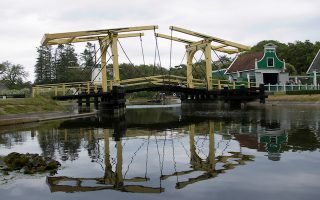 Combine with paths along the Amstel River. 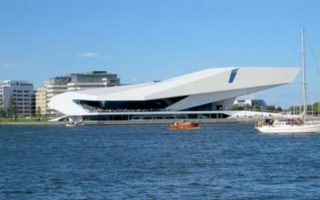 Take a ferry over or metro to Amsterdam North, which has gradually transformed into an arts and cultural area. 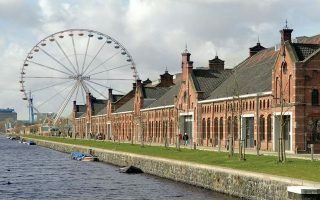 There's great running around the waterfront, in Noorderpark, along canals, and more pastoral roads north of the A10. 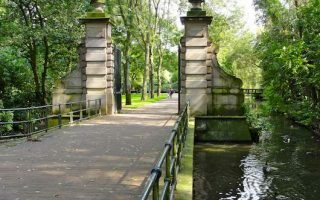 Centrally located area, with several great, interconnected running opportunities, from newer parks to lovely canal paths: Flevopark, Diemerpark, Rijnkanaal, and Java Island. 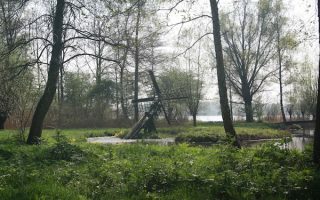 Park and lake area in southeastern Amsterdam, accessible by metro and a great spot for a bucolic run. 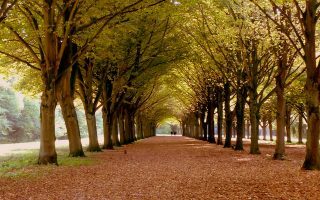 The paths of Gaasperpark are ~3-4 km, while a loop around the lake (Gaasperplas) is 5 km. Add-on a couple of km in Nelson Mandelapark. Amsterdam, is famously flat. Best ‘hills’ are some of the upward slopes of the canal bridges(! 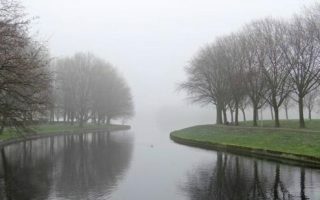 ), and in the Bos and Rembrandtpark. The city’s infrastructure is defined by the water, some 400km of bike paths, and a great public transportation system. The metro mainly radiates out but only has Central station, Nieuwmarkt, and Waterlooplein in the central. The tram system is the best way to get around the core. 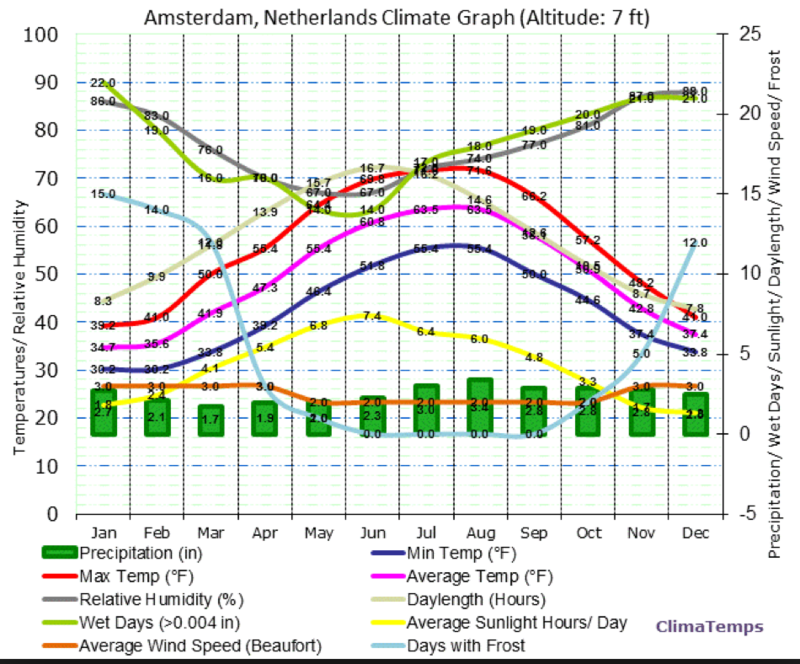 Amsterdam’s climate is influenced by water and the North Sea. Summers are mild and never overly hot. But it is humid. It can be rainy throughout the year but can be especially damp in winter. Winters are chilly, but frigid temps and snow are rare. Marriott. Good hotel gym and 2 miles from Vondelpark. There’s a great selection of centrally located running shops, especially for a city of Amsterdam’s modest size. Runnersworld is the main specialty running store in Amsterdam with several locations. Runnersworld. Several locations in Amsterdam. Front Runner. Centrally located, on Kalverstraat. De Trek Barefoot. Focus on barefoot shoes, for running and other purposes. Run2Day. Near Vondelpark. Another location in Oosterpark. Running Junkies is a running group for more serious runners. Group runs Tuesdays 19:00 @ Tjins, Wednesdays 19:30 @ Run2Day, and Thirsty Thursdays 19:00 @ ASV Arsenal. Amsterdam Marathon. October. Starts in Olympic Stadium. Flat course! Gaasperplasrun. June. Popular but small. Rondje Mokum (Amsterdam Circuit). There are 7 events that are part of Amsterdam’s ‘running circuit’. Mostly 10ks but one 15k.